The Center for Civil and Human Rights gives you a front-row seat at the fight for desegregation in the 1960s. You can experience an interactive example of what protestors went through at the Center. The Birthplace of Martin Luther King Jr. In many ways, the Civil Rights Movement was born in Atlanta. Martin Luther King Jr. certainly was. You can visit his birth home while in the city. Visitors can also stop by Ebenezer Baptist Church, where he preached, and the Martin Luther King Jr. Center for Nonviolent Social Change, where he was laid to rest. The White House may be in Washington D.C., but you can check out a recreation of Jimmy Carter’s Oval Office right here in Atlanta. The Kennesaw Mountain National Battlefield Park includes a trail that leads you to the top of Kennesaw Mountain, which loomed in General William T. Sherman’s path when he marched towards Georgia during the Civil War. Explore history and stretch your legs by visiting the Park. Georgia summers can be sweltering. You can cool off by visiting the Chattahoochee to explore a wide range of water sports. Visitors can rent tubes, paddleboards, or even kayaks to beat the heat and have some fun. Fernbank Forest offers cool pathways beneath towering trees. You can visit the Fernbank Museum of Natural History to reach the forest. Once there, you can take a trip on elevated walkways and learn more about this wild section of Atlanta. Zoo Atlanta gives Atlanta residents and guests from around the world a chance to see wild animals close up. You can walk through the zoo to check out lions, pandas, gorillas, and many other animals today. The Woodruff Arts Center provides a comprehensive chance to dig into the arts. Visitors can listen to the Atlanta Symphony Orchestra and browse through the High Museum of Art. The Alliance Theatre is currently wrapping up renovation to provide theatre-goers with an updated experience. 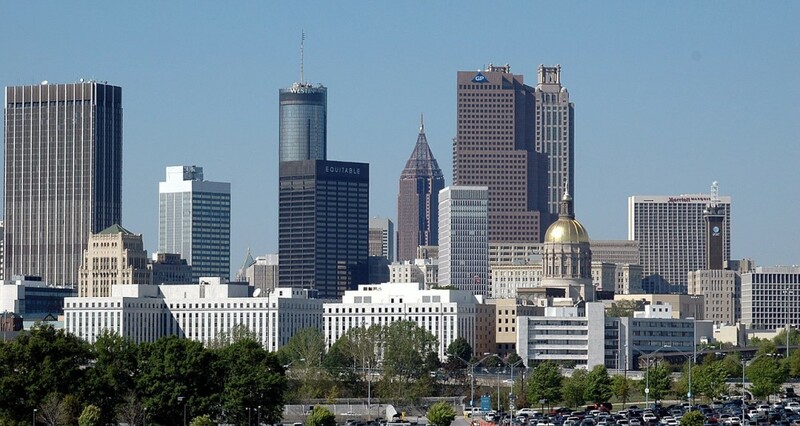 You should definitely visit Atlanta in 2019. It offers visitors a wide range of rich activities to fill the days. You can use these suggestions as part of an insider’s guide to Atlanta, allowing you to plan your trip quickly and easily. We hope to see you in our beautiful city! Are you looking for date nights in Atlanta or fun film locations like The Walking Dead? Be sure to subscribe so you never miss a post from my home city!